I was at a seminar thing recently where one of the speakers was Martha Swift, who turned her home cupcake operation into the hugely successful Primrose Bakery. I asked her whether she thought that her business, and those like it, were being negatively impacted by the War On Sugar that is currently being waged left right and centre. It isn’t. And she didn’t think it really would be. Cupcakes are a treat. People understand that. Plus, she said, a world without sugar would be a bit miserable. Can anyone really disagree with that? What I do disagree with, usually just to myself under my breath in shops or to my husband when he is trying to watch South Korea vs. Ghana, is stuff that pretends to be really healthy but isn’t. I recently read about a new US research study into how health related buzzwords in food marketing (like saying Cherry 7UP has ‘antioxidants’) creates a “false sense of health” and may actually be contributing to the obesity crisis in the US. Now, I totally understand that corporate food manufacturers are there to make money and will be as cynical as they need to be to shift their product. If I were a shareholder in, say, Coca-Cola Schweppes, I would expect nothing less. And I am not a big believer in government intervening to prevent it (with the exception of food marketed at kids). But it does mean that as consumers we need to be more savvy about what we are reeled in by if we are interested in trying to make genuinely healthier choices. Us against them, yeah? Green juice is one of my current nemeses on this front. (Baby food is another, but that’s for another day). Green juice is the kale and quinoa salad of 2014. There are more pictures of green juice on Instagram than there are kitten pictures on Facebook. The internet went wild for Rosie Huntingdon-Whitely’s chlorella kale juice selfies. But green juice is not created equal. The “good” stuff is predominantly vegetable, and does take some getting used to unless you were weaned on chlorophyll. Necking half a pound of freshly juiced kale, beetroot and broccoli with a few berries or a pear thrown in to make it palatable is probably going to deliver you a good old dose of plant nutrients, which (we are told) are more easily absorbed into the blood than if we drink a smoothie with all that annoying fibre. 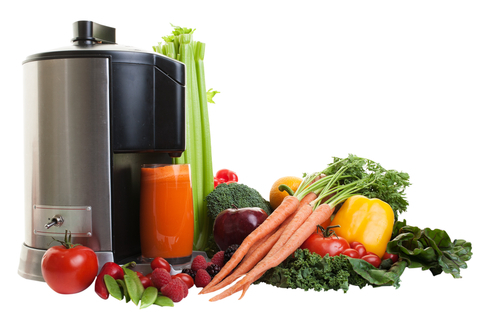 If you can be bothered to clean a juicer or have enough disposable income to support a Plenish or Roots & Bulbs juice habit, the world of juicing health is your oyster. But drinking half a litre of apple juice with a few slices of celery and a kale leaf thrown in? Well, that’s really just the fruit juice we’ve been told endlessly to avoid in fancy dress. Pretty crap fancy dress at that. Like putting on your dinner jacket and saying you’ve come as James Bond. At our local Pret, the “Green Goodness” juice is usually sold out by mid-afternoon. It contains 42.8g of sugar. That’s nearly 11 teaspoons full, and almost 4g more than a can of Coke. Pret don’t break their ingredients down by percentage but apple is the top ingredient (they are required by law to list ingredients in volume order). And with 11 teaspoons of sugar per 400ml bottle, I would make an educated guess that it is significantly more apple than it is spinach. But it’s still natural sugar! Well, yes. But so is straight up old-fashioned fruit juice and it’s been demonstrated pretty conclusively now that it doesn’t mean its really all that good for us if we drink a lot of it. By the time your stomach has done its (pretty limited) job it’s all just glucose and fructose and if it isn’t being used for that marathon you are running, it’s going to be stored somewhere. But it has vitamins and nutrients that a can of Coke doesn’t! Yes, it does (albeit there are pretty big questions over how much of these are left in a commercially pressed juice that has been on a shelf for a day or two). I will give you that. In a straight two way with Coke, the Green Goodness probably wins. But who over the age of 15 still drinks Coke anyway? 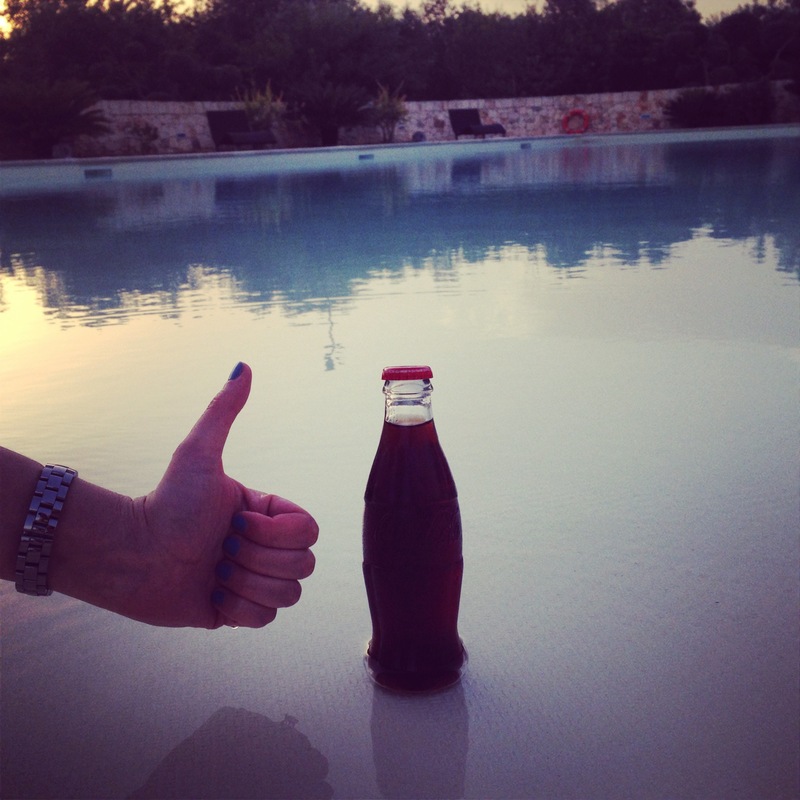 (Coke on holiday in glass bottles excluded. Obviously. That’s the law). I lied, I will move on just after I’ve said 0.02%! (And then fallen about laughing. And then started to cry while wishing I had 1/900th of Coke’s marketing budget for this blog). 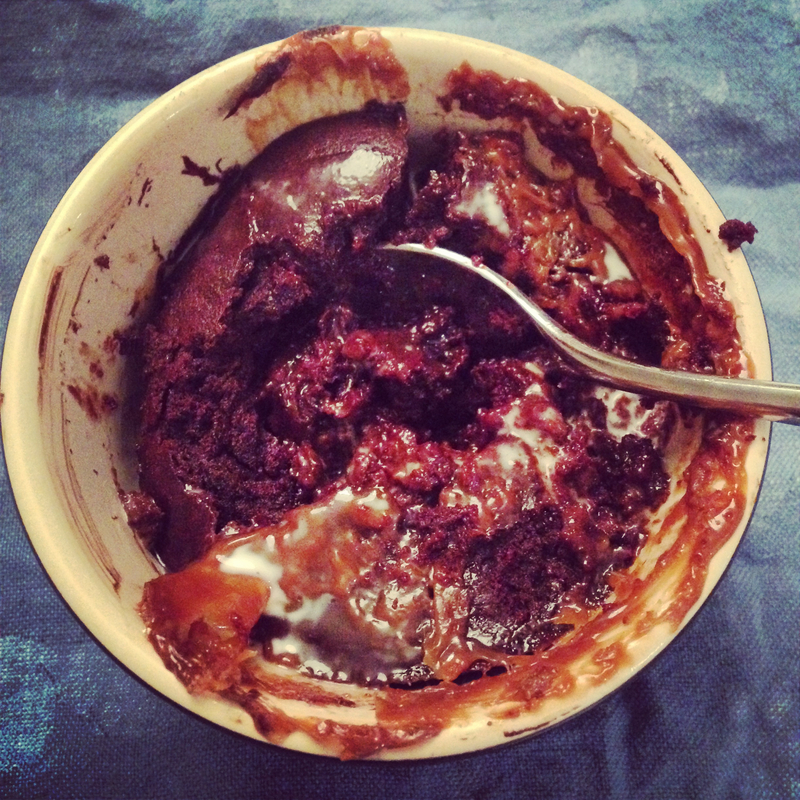 So in the interests of calling a cake a cake, here are some molten chocolate cake things from David Lebovitz’s new book. These aren’t good for you. Not even in the slightest. They are gluten free so I suppose for some people (in a park in Los Angeles) that at least gives it some ‘health’ credentials and there are antioxidants in chocolate so actually maybe on second thought…. Who am I kidding? Basically, they are delicious and if you can manage not to confuse them with a green salad and avoid eating them every day, you’ll probably be just fine. And maybe a little bit less miserable too. I really hadn’t ever intended to blog about these because, well, melting centre chocolate pots are a bit ubiquitous aren’t they? And if green juice is the new quinoa kale salad, salted caramel is its 2013 pudding BFF. But I was HOUNDED with requests for this after putting a picture online and I so here we are. The original recipe can be found on Food 52 and comes from David’s new book, My Paris Kitchen, which is a brilliant collection of recipes and stories from his life as an ex pat American cook and eater in Paris. This was the first thing I cooked from it but everything so far has been a triumph. I has quite a grand title but I made it with good old Maldon salt and it was all good. Any decent flaky salt will do the trick. Dulce de leche is increasingly easier to find in supermarkets, or you can make your own. I use this caramel spread from Bonne Maman, which is the same thing under a different name, because we always have it in the fridge (if you have this and you have ice cream you have pudding. I have hooked at least four friends on this middle class crack). Unlike recipes I have used in the past, he doesn’t include any flour at all and I really don’t think it is missed here. It does result in a more glossy custard like mixture which I was initially worried I’d created by accident but they worked perfectly. These are the sort of chocolate pudding you eat from the ramekin though – because of the sauce at the bottom you can’t turn them out like you often see with molten chocolate cakes (I am not convinced the picture on Food 52 is the same cake). I have done nothing to alter it save for tweak some terminology for us here on the Small Island as we don’t call our chocolate semi-sweet and bittersweet and I found this confusing in American recipes for quite a long time (until I bothered to look it up). In short, bittersweet usually seems to mean dark chocolate with 70-75% cocoa and semi-sweet is dark chocolate with 50-60% cocoa. (These aren’t the ‘legal’ requirements – in the US, bittersweet need only have 35% cocoa solids but the recipes I have used tend to use the distinction I have here). 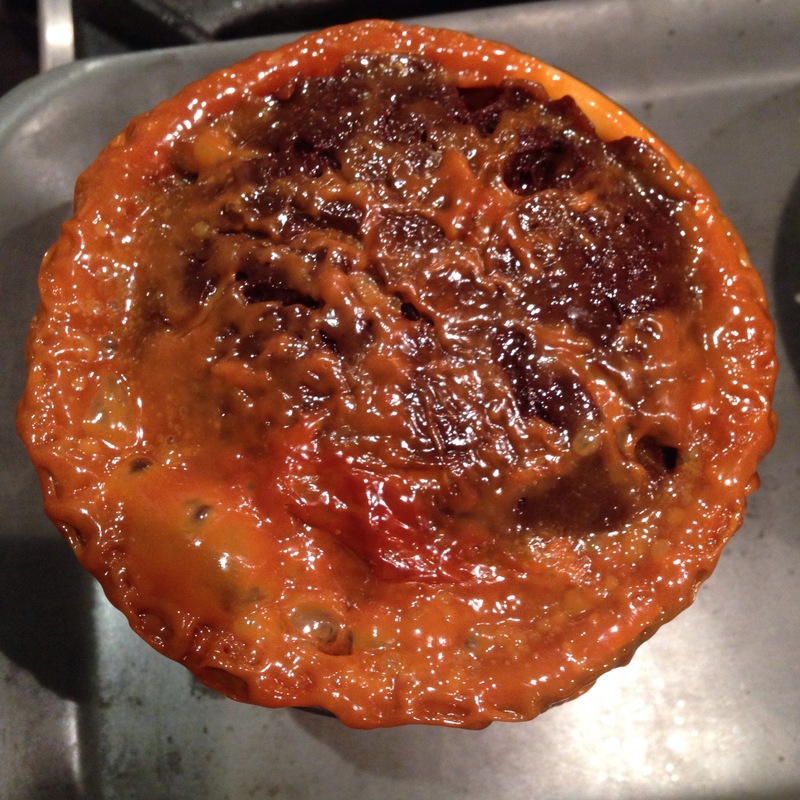 I have given half quantities below, which based on the original recipe would make 3 in 125ml ramekins. I only had larger ones (250ml), which I filled two thirds full and it still left enough for one little pudding for the small person the following day so I suspect in truth you could get 4 smaller ramekins worth from this. It depends how greedy you are really but these are very rich. These can be made in advance and kept in the fridge until cooking. One word of warning – keep an eye on them in the oven as the caramel can bubble up and overflow if they get too hot/you overcook them. See Exhibit A below. 110g dark chocolate (minimum 60%). I used Green & Blacks Dark 70%. Preheat your oven to 200ºC/180ºC fan. Butter the ramekins and dust with cocoa powder. Tap away any excess. Put the ramekins on a baking tray. Melt the chocolate and butter together however you like to do so, stirring until fully incorporated and smooth. I prefer the old bowl over simmering water method but I know many have microwave methods or other tricks. Take off the heat and stir in the sugar and the cocoa powder. Lightly beat the eggs and mix into the chocolate mixture in 2 or 3 batches. (The original recipe doesn’t say to beat together first but I found it quite a pain to mix the whole egg in). You will end up with something very shiny, gloopy and custardy at this point. This is right (I think). Divide between the ramekins. It won’t rise significantly in the oven but don’t fill them all the way up as they do rise a bit. Three quarters full would be about max I’d say. Pop into the oven for 12-15 minutes until the sides are firm but the top is, in David’s word’s “still shiny and quite jiggly”. Leave them to stand for at least 5 minutes before serving with cream or ice cream or creme fraiche. Or just as they come. This sounds so scrumptious! I’m in heaven! home made cakes and deserts are the best, fresh ingredients and delicious. thanks for the recipe.